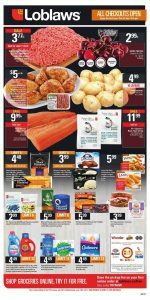 Loblaws Flyer July 6 2017 shows us how to get the freshest and great quality needs for weekly shopping with fair prices. Their flyer contains many options for a good weekly shopping. Cheaper prices , good looking products , wide range of products and special offers can be always browsable on their flyer. On this week , their product list will draw your attention. Check all parts of this , find your needs and catch up these fair prices ! So easy to save in Loblaws ! All deals and selections have been checked by me for you. Especially , I recommend that focus on browse page 2. Many healthy fruit , vegetables and natural products are on sale now. 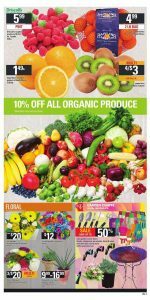 You should benefit 10% off for organic produce ! These products are more healtier than others. Also , Many garden centre selections such as shrubs , evergreens , perennials and decors are on discount too. Up to 50% savings are featured on this page. Fresh MSC icelandic cod fillets , $12.99 lb. For more savings , informations and details , you should check all pages of this. Don’t worry , you will reach what you are looking for related to regular needs when you check this or visit their stores. In addition , you can create your own shopping list by clicking the buttons on the right of seletions on this article easily. Let’s start browsing it and get your essentials at the best prices. Get ready to decide how much you will save for weekly shopping with newest Food Basics flyer including special opportunities , discounts and special product selecion today ! Like every week they do , this store offers you lots of fresh looking and best quality selections on this week. Their product list is quite wide. 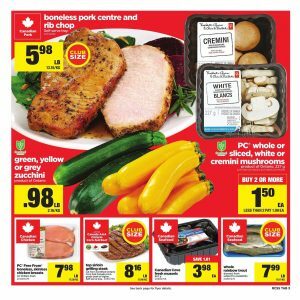 Therefore , you can find what you are looking for easily on Food Basics Flyer July 5 2017. Each page contains unique prices. Browsing this flyer will be good for your budget. Here you go ! Perfect prices start Thursday ! 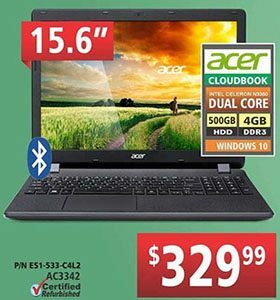 The lowest prices and good looking products have been chosen for you. If you are in search for some of them , you should benefit these reasonable prices. Let’s look at these ! Green or black seedless grapes , $1.98 lb. Tomatoes on the vine , $1.28 lb. Iceberg lettuce , $0.98 ea. Seedless cucumbers , $0.98 ea. Bone in pork combination chops , $3.49 lb. Sirloin tıp steaks family pack , $5.99 lb. Fresh pork tenderloin , $5.99 lb. Boneless skinless chicken thighs , $4.99 lb. T-bone steaks , $13.99 lb. Sweet potatoes , $0.88 lb. 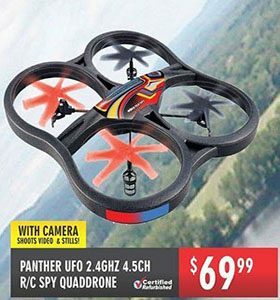 Awesome flyer which has wide range of products , quality product selection , lower prices and special deals has been offered by Real Canadian Superstore Flyer July 2 2017. You will come across what you want to check with huge details when you browse this flyer. They basically show you how to buy high-quality and popular products at the cheapest prices. You have many more options to reduce to cost of weekly shopping. Let’s benefit their great opportunities ! As I said before , you will see many parts such as meat , produce , ready to cook , frozen , bakery , drinks , snacks , household , personal care , baby , home essentials , eletronics and more. This store is one of the best in Canada to get though shopping from one place. Moreover , various discounted products for this week. Superstore introduces you special parts ! Variety of chicken , meat , produce , bakery and deli are featured on pages 1 and 2. You have more savings. For example ; Canadian cove fresh mussels are on sale up to $1.01 now ! You will pay only $3.98 for this. In addition, when you buy some selected products more , you will pay less. For example; if you buy 2 or more Pc whole or sliced , white or cremini mushrooms , you pay only $1.50 ea. Mill creek peas , $2.98 ea. Pc chicken drumsticks or thighs , $2.78 lb. Tre stelle twin pack cheese , $6.00 ea. Saputo cocktail bocconcini cheese , $10.00 ea. Whole rainbow trout , $7.99 lb. Pc free from boneless skinless chicken breast , $7.98 lb. Celebrate with Super Prices ! Many types of products are on discount now ! They have dropped prices of these selected products ! You have good chances to discover new taste thanks to Superstore. Various tropical , ethnic and delicious selections have been offered by them. These selections are drawing attention. Especially , you should focus on traditionel taste such as marinated Korean short rib or Bulgogi. Whole shrimp , $7.98 ea. Sufra halal beef burgers , $9.98 ea. Arz fine foods beans , lentils or peas , $0.88 ea. Lee kum kee holsin squeeze sauce , $2.48 ea. Barbican malt beverages , $5.98 ea. Lots of drinks such as energy drinks , sport drinks , soft drinks and non-alcholized beer , crackers , snacks , sauces and more are waiting for you to be purchased with quite lower prices ! If you have a party plan and want to pay less for snacks and drinks , you are correct address now. Various popular and good looking selections are available on pages 10 and 11. Also , select condiments and salad dressing are on sale up to 20% ! Perrier carbonated water , $4.98 ea. Glaceau vitamin water , $1.67 ea. Monster energy drink , $1.88 ea. Red bull energy drink , $6.98 ea. Gatorade sport drink , $3.98 ea. Budweiser prohibition brew , $7.98 ea. Christie cookies or crackers , $2.00 ea. Campbell’s can soup , $1.25 ea. Heinz beans or pasta , $1.25 ea. For more discounts , opportunities and details , you can check other pages. And also you can create your own shopping list by clicking the buttons on the right of the products on this article easily. Let’s begin browsing it and get your needs at cheaper prices. Enjoy shopping ! Are you looking for something fresh? If you answer is “YES” , you have already reached the correct address. They introduce you super fresh and high-quality products with unbeatable prices ! 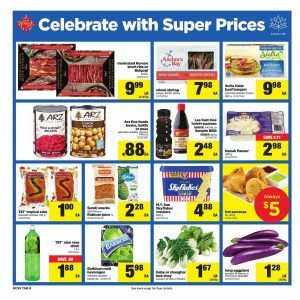 This week’s many opportunity products are waiting for you to be discovered on No Frills Flyer July 1 2017. First of all , you should make a shopping list and find your essential with fair prices on this flyer. Here you go ! You will reach lots of unique options to reduce to cost of weekly shopping such as “LOWEST PRICES OF THE YEAR“. 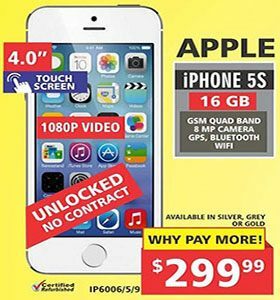 I want to give you some details about this deal. Pork side ribs are on sale now ! You will pay only $1.50 for lb. And also Chapman’s ice cream are on discount. You will pay only $1.50 for this. Catch up these prices ! ONE FIVE OH CANADA ! This flyer is full of awesome prices and products. I have reviewed the pages one by one and I have chosen the best ones for you. Each page contains unbeatble opportunities. 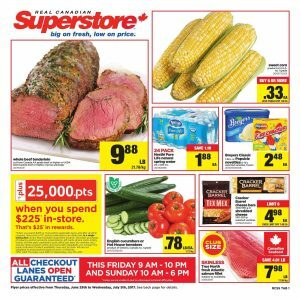 If you have a weekly shopping plan , this store is one of the best in Canada. Their product selections and prices are pretty good. My favorite feature of this market is that I always pay less for quality products in their stores. When you look at page 2 , you will reach many kind of products such as soft drinks , bakery , deli , frozen , desserts and canned goods. Particulary , you should focus on products of PC. They’ve dropped prices of them. If you need some and want to pay less , you should benefit these prices. Also, I recommand that try Pc canadian buns. You can pay $2.47 for this. In the first days of July you can enjoy the sun by consuming fresh and natural products. This is one of the methods necessary for a healthy and vigorous body. Instead of acidic and additive-containing beverage, you should choose freshly squeezed fruit juices. One of the best ways to stay healthy is to make this preference. Last page of this flyer includes super fresh and good looking many selections. Yellow nectarines , $1.50 lb. Fuji apples , $1.50 lb. Hot house tomatoes on the vine , $0.97 lb. Green , yellow or grey zucchini , $0.97 lb. Romaine lettuce , $0.97 ea. In this article, that’s what I wanted to talk about. If you find your essential , you should catch up them! For more discounts , details , information and products , check other pages. Here you go !